Love this! Love it love it love it! haha Val! 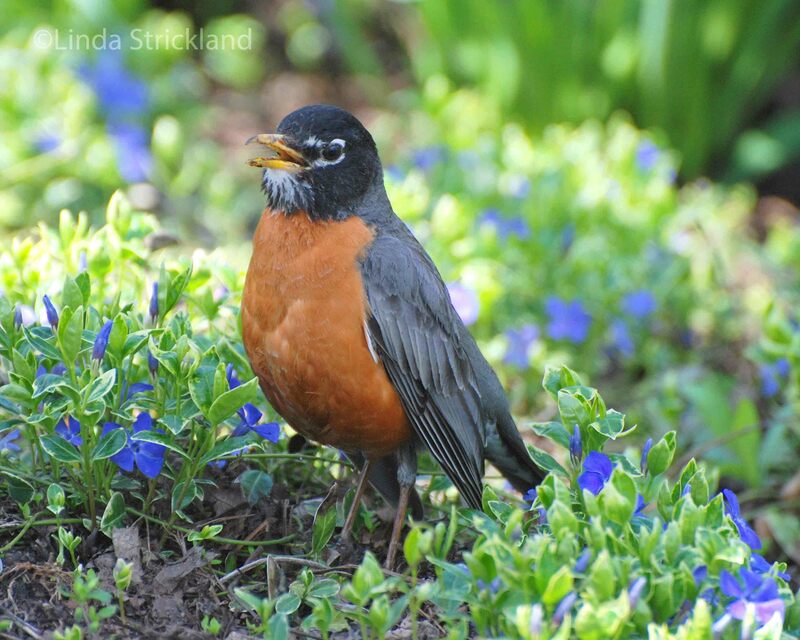 I agree, those wormy movements are best left for the robins! I can make a sudden move in my kitchen, and just outside that window the birds in the feeder hanging on my orchid tree will scatter for a few seconds before returning to eat. I’m never surprised anymore on the strength of their senses. But I will never stop enjoying their company. Thanx for the post. Yes, it’s so true. If you don’t become part of their environment and get them to trust you, they go away. Try sitting outside for at least 15 minutes though, giving them their space of course, and you will see them come back and tentatively feed, then fly away real quick until they see that you’re not coming to hurt them. Then they will mostly all come back and resume what they’d been doing before you came. Thanks for stopping by. I am the same way Line! Loud noises really upset me too. Although I have been known to turn Carole King on really loud when I’m doing housework and I need some motivation! hehe. Hihi! I don’t like housework either, not one bit! That is the one thing I would happily pay someone to do! PS: Yesterday my talkative braincells were on strike. Today I want to tell you I wondered the same thing after reading your lovely post so I googled it and found out that It turns out that hearing is the most important sense of the Robin – that the Robin listens for the small noises a worm makes while burrowing along in the ground. 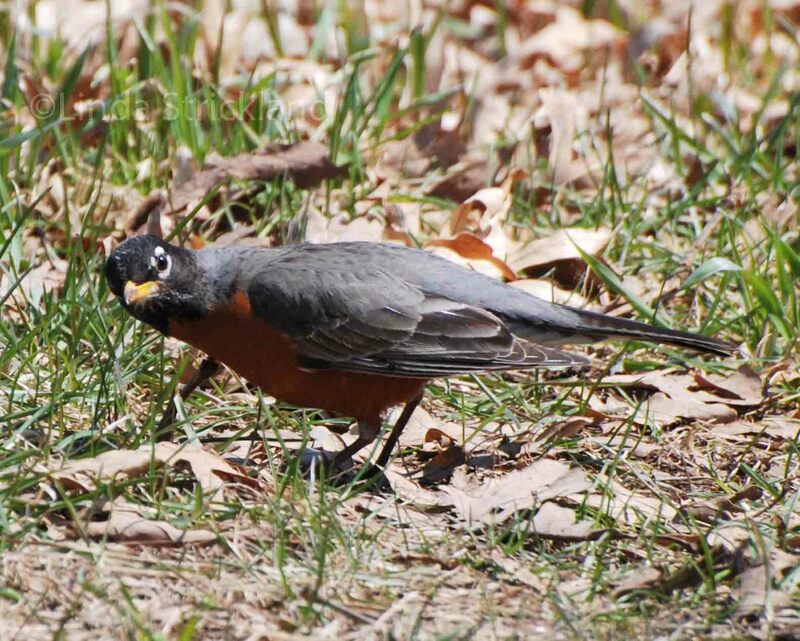 The robin DOES use its other senses too – watching for movement, feeling for rumbling with its feet. But the main sense that helps out the most is the robin’s hearing. One sense a robin does NOT use is its sense of smell. The robin has a really poor sense of smell though. There is a pulse in the animal kingdom that reverberates throughout the natural world and syncs with our very hearts. Yes indeed John. And it’s so fun to watch. Wonderful peaceful post Linda. When the robins arrive I will remember your wise words. Yes Suzy, birds are so sensitive. I have seen that whole tree evacuation thing a ton of times! A very frustrating experience, but one that is all too familiar. Thanks for stopping by. Thank you Sonel for your explanation to this question! I appreciate your research. And thank you also for the wonderful compliments. I know you put a lot of time and research into your posts, and I always learn something new from you. Thank you so much Tony. It’s lovely synchronicity that our posts had a similar theme. This was so well written that I had to reread it again! We all must learn to be more quiet, listen, see and feel more. You know why I love that bird, right? Smile! I appreciate that you notice these things while you take such beautiful photos of God’s creatures! Amazing post! Thank you so much Robin! That really means a lot. I was hoping you would see this particular post especially! Your namesake. Thank you Robin, that’s so sweet of you to say. 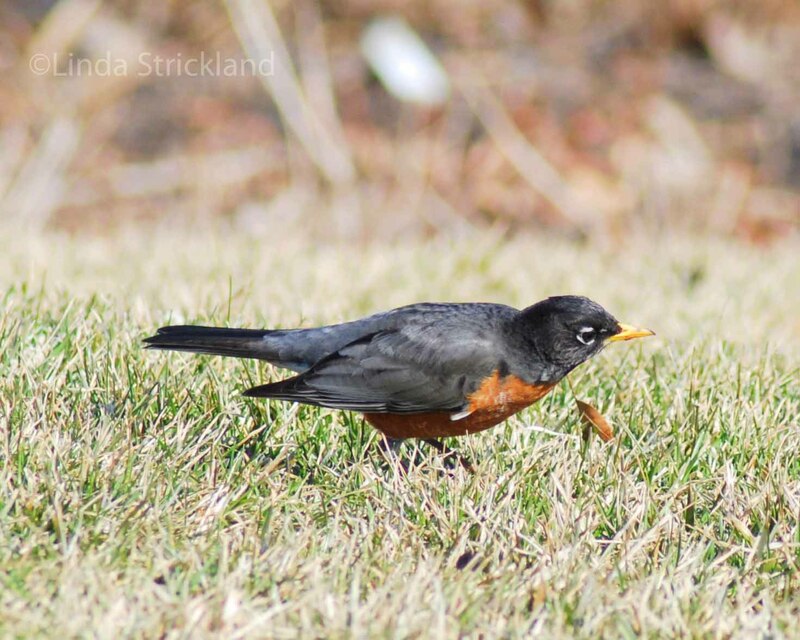 Linda, the final picture of the robin is perfect. Your wish that we could all ‘get quiet’ is appropriate for this decade when people seem to be plugged in even if they are walking to the corner store. Nature has a lot to say–but few are listening. Thank you Wendy! I agree. There is nothing more healing than plugging in to nature. Your beautiful pic really captures why it is so thrilling and mesmerizing to encounter wildlife! Even the ubiquitous robin… Your work is completely “tuned in”. yes I like that! “Nature speak”. Indeed! Thank you djmrakiey. Really does look like its listening – and then hollering out a “jackpot!” in the last pic. Haha! hehe. yes, it does sf! Thank you for your visit. My hearing is not so acute anymore. I never thought about animals and hearing. So interesting. Well, our hearing is never as good as the robin! And I’m guessing they don’t lose that ability when they get old, like us, because they need it for their survival.